The Chief of Staff to Governor Nasir el-Rufai, Alhaji Muhammad Saidu, has been appointed as the new Commissioner of Finance in Kaduna State. 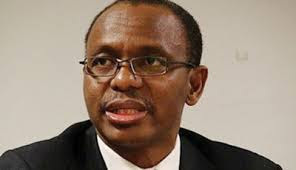 The finance ministry had no substantive commissioner after the resignation of Suleiman Kwari, who was recently elected to represent the Kaduna Northern Senatorial District at the 9th National Assembly. A statement by el-Rufai’s Senior Special Assistant on Media and Publicity, Mr Samuel Aruwan, also stated that Mr Idris Samaila Nyam, erstwhile Permanent Secretary in the state Ministry of Finance, had been appointed as the Accountant-General of the state. The former Accountant-General, Umar Waziri, according to the statement, became Managing Director of the Kaduna Investment and Finance Company. The most senior director in the ministry would act as Permanent Secretary until further notice, the statement added.